We’re still painting our CCC unit for MERCS. You’d think six guys wouldn’t take too long but you stick in a squad of Terminators, a detour into Dropzone Commander and a little affair with Sedition Wars and there you go. Not to mention our next squad of Bolt Action Germans staring at us the whole time…. But we got some extra motivation to get going again following Beasts of War’s MERCS Week. They really did some outstanding coverage of the game and probably some of their best work overall yet. Our favorite quote of the week was, “Did you say nukes? !” Below are some of the highlights and other useful links. One thing many folks comment on when seeing MERCS played, and which you’ll see in the BoW videos, is that the cards used as movement templates not only seem annoying but somewhat gimmicky. We agree but you can dispense with them altogether and we think it actually improves the play. The cards are fine for those playing MERCS more as a board game on the paper map but any miniature player is going to want to dump them. Just use a fixed 2.5″ template/stick to measure movement. You can move up to that maximum. We also made the various fire templates out of card so we don’t have to keep holding two or three cards down on the table to check coverage. Basically you just need a 7″ circle, 7″ straight and a T with a 6″ long base and 7″ wide top (the 3-card T) and a T with a 6″ long base and 3.5″ top (the 2-card T). The cards are 2.5″ wide. This all speeds play and allows you to leave your cards free for reference and initiative order sequence. Also don’t miss the MERCS Bag. It is a nice small convenient size that still allows you to carry 6-10 squads with room for your cards and other misc gaming stuff. 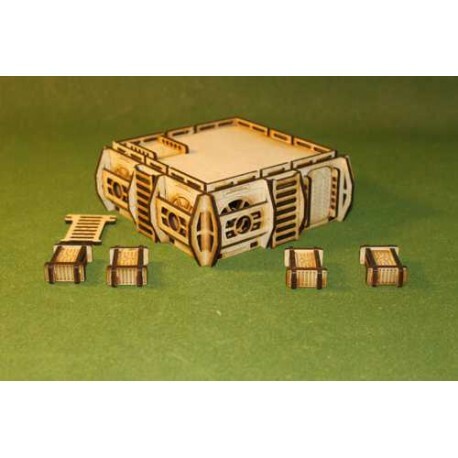 It is also useful for any 28mm skirmish game or even 6-15mm games as well. 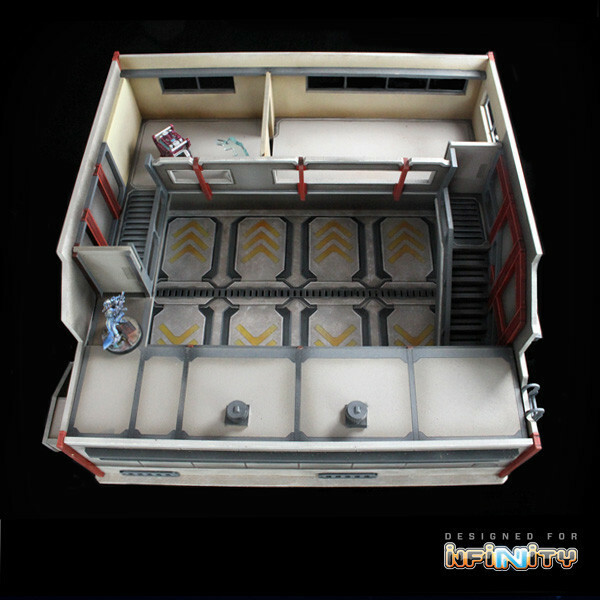 This entry was posted in 28mm, Mercs, Sci-Fi, Skirmish. Well as I feared, Dust Warfare has proven to be the proverbial nose under the tent. Getting deep into Dust Warfare has led us to look at other 28mm scale games. This of course is natural as you get in the mode of painting in that scale, start to gather some terrain, get some more figs, etc. Perhaps an even bigger influence is just the fact that there are lots of excellent rule systems out now that do not require a large number of miniatures to play. This makes it even easier to get into these games without a large investment in hoards of 28mm figure. I’ve already written about Saga. It continues to be a challenging and fun game. It appears a Roman army is now inevitable. But thanks to Saga I still only need around 50 figs so collecting one is not a particular burden in time or money. The metal and plastic Roman figs from Warlord Games are excellent. But we also grabbed some of the plastic Romans from The Wargames Factory and they are almost as good as the ones from Warlord Games. If you want to have some plastic options they are worth a look. And of course the next Saga expansion, The Raven’s Shadow, with four new factions, is due out soon. We have officially taken the plunge into Bolt Action as well. The figs are great and the rules are even better. Like Saga you can play great games with just 20-50 figures and maybe a vehicle or three. The rules are very streamlined yet give a nice tactical feel. For more on Bolt Action don’t miss Bolt Action.net and the BAR (Bolt Action Radio) podcast. Anyone interested in Bolt Action might also want to check out Victory Decision: World War Two from A.D. Publishing. It is somewhat 40K-ish and larger scale but still a streamlined game. 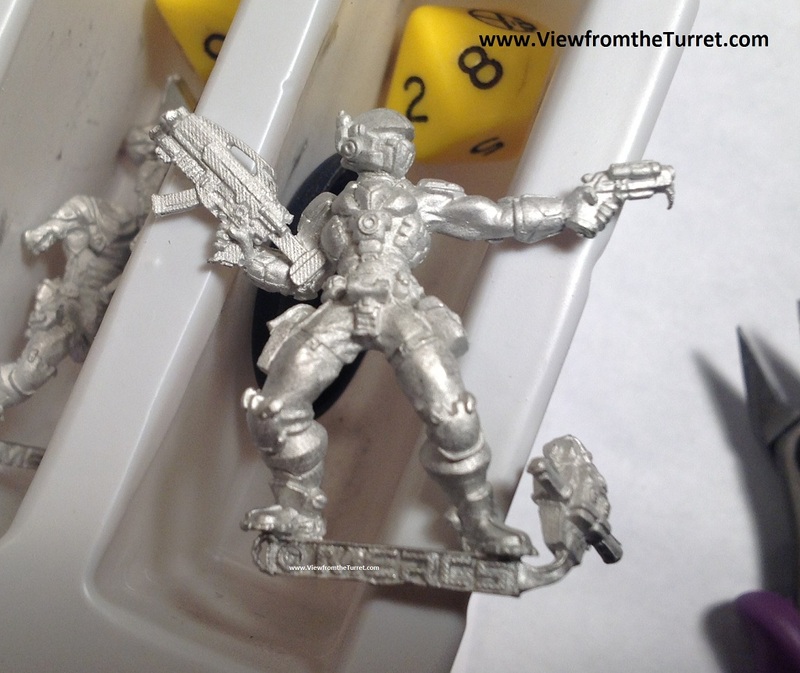 Mantic Games recently released a new line of sci-fi figures for their Warpath game. The new Enforcer figs look quite nice. We have always liked the Corporation line in general. Along with the figs Mantic released a new version of the Warpath 2.0 beta rules. The rules look interesting and have a unique activation mechanic. Honestly we can’t say we are fans of the Warpath universe in general but we like the Enforcer and Corporation figs enough that we would like to do something with them. Spartan Games probably deserves a mention as well. Their new Dystopian Legions game looks quite nice. The miniatures look interesting and well cast. We originally thought the minis were to be resin but for the most part they are pewter. We are unsure how the vehicles are going to be but if Forgeworld can pull off 28mm resin I suppose Spartan can as well. The quick-play rules are available for download and look quite interesting. But we will probably pass on this one. We are fans of Dystopian Wars because we like naval combat but are not big enough steampunk fans to jump into Legions but it appears to be a good effort. 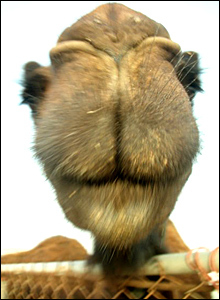 But then again we may weaken…. Perhaps the biggest recent find came about as a result of playing the XCOM: Enemy Unknown computer game. 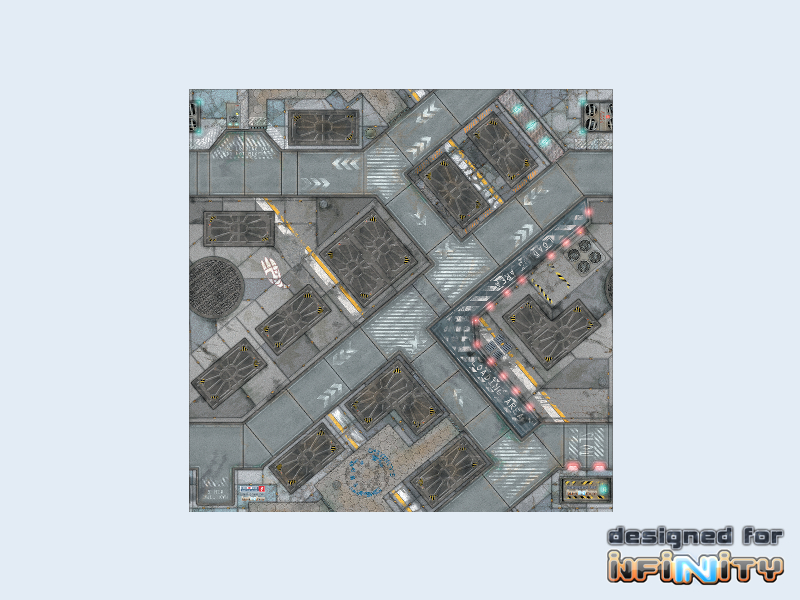 The game is a great tactical sci-fi game and gave us an instant desire for some sci-fi tactical tabletop gaming. We dug around a bit and discovered Mercs. 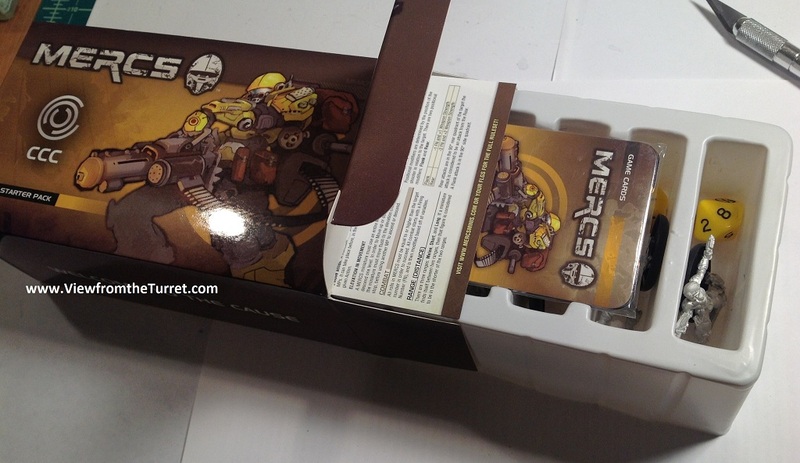 It is very much XCOM on the tabletop with five figure units and an emphasis on fire and maneuver at the skirmish level. The miniatures are outstanding and the rulebook is one of the best presented rulebooks we have ever seen. In fact the rulebook is perhaps the new gold standard for rules. Not only are the production values high but it includes fluff as well as a look at the game design and miniature creation as well. We wish all publishers would do this. Thankfully the rules themselves seem to be as good as they look. We have not gotten in a game yet but the card-as-ruler mechanic certainly has to go — A simple fix — but otherwise the rules look very solid and the snap-to-cover mechanic is unique. Also be sure to check out SnaptoCover.com a nice Mercs fan site. We will certainly have more on Mercs after we get some games in. 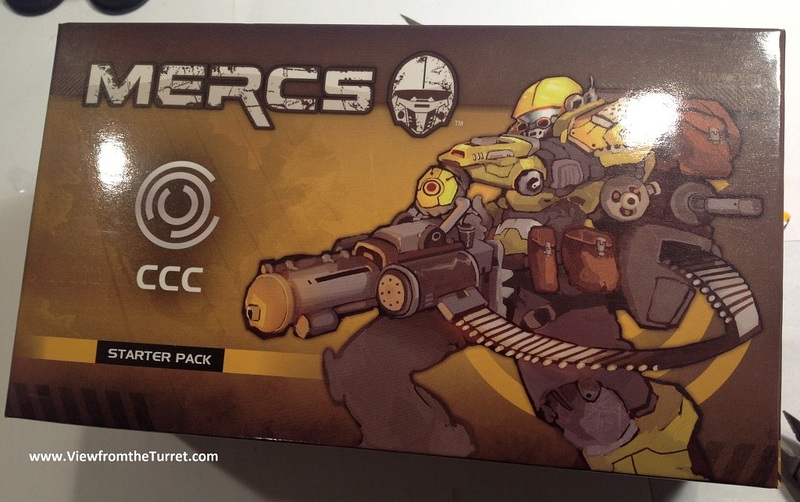 Below is a look at the Mercs CCC starter pack. 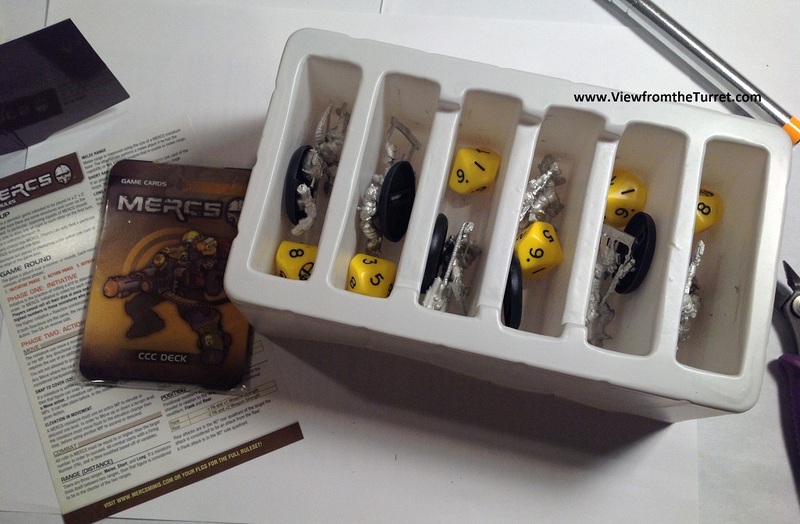 This is a quick way to get into the game (you’ll need the rules as well). Games are played with five troops to a side but you have six (and soon seven) to choose from so pick wisely. This entry was posted in 28mm, Dust Warfare, Mercs, Miniature Wargames, Saga, Sci-Fi.